We’ve temporarily moved from using the internet as our form of research, to a method observed far less than in the past; using a book! 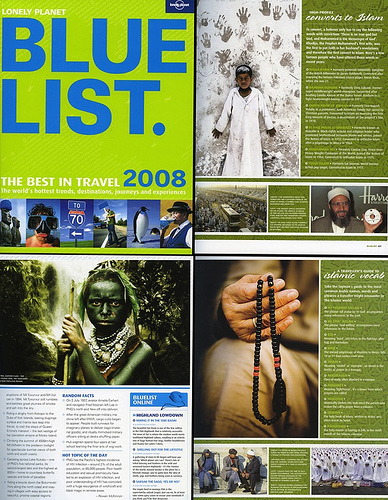 The Lonely Planet Blue List is a fantastic way to discover interesting places to see. The book, well actually a whole series of books which have been assisting us with our places-to-see research has been the Lonely Planet Blue List guides. Before I discuss them in more detail, it is worth mentioning that these guides were only produced in 2006, 2007 and 2008. Since 2009, the equivalent book in the range has been the Lonely Planet’s Best in Travel 20XX. 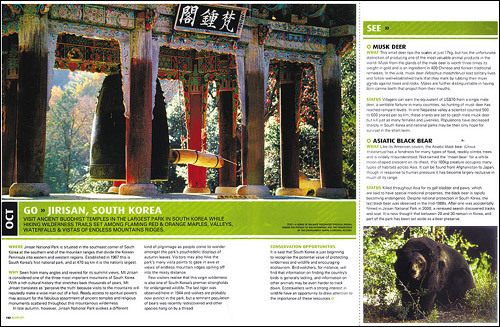 This is a sample page for Jirisan, South Korea in October. The reason these books are prime for our trip planning is in the way that topics are put together. In most cases, the topics discussed are not by country or city, but rather by interesting topics such as “Best Ways to Give Back”, “Extraordinary Markets” or “Paranormal Travel”. By linking up topics of interest, it is a fun way to discover things we can do on our trip. The books are also easy to read, where if a topic is not interesting, or the topic is about a place that we’re not considering travelling to – we are able to skip past it. 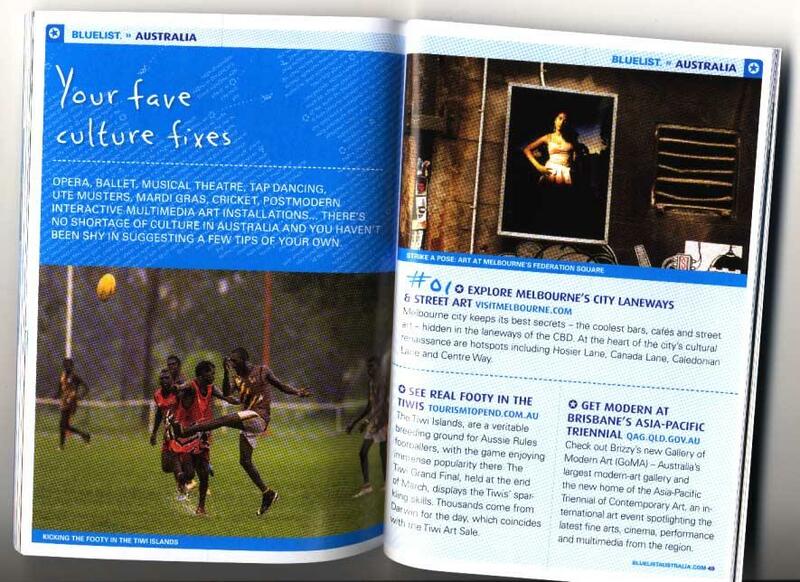 This is a sample page for culture in Australia. We have been jotting down places, events and activities of interest and are adding them to our maps produced through our Creative Route Planning idea.